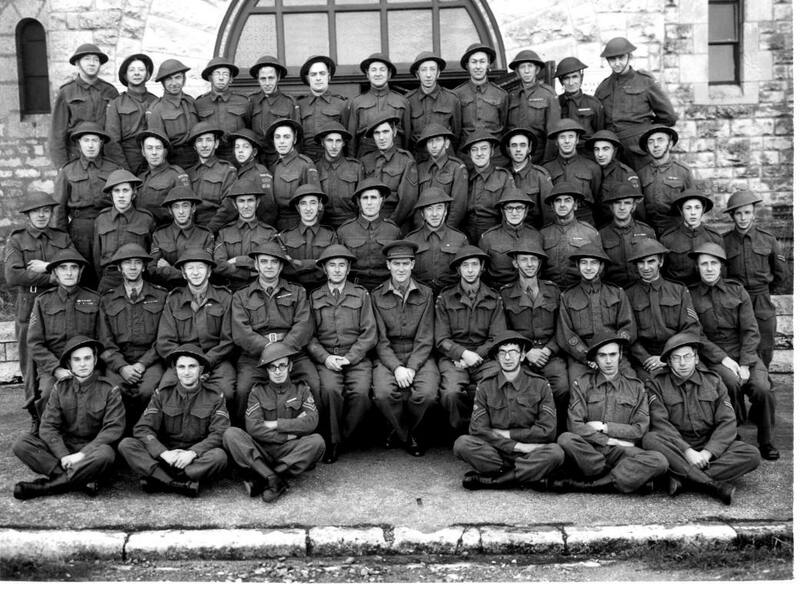 PORTLAND HOME GUARD UNIT, 1943, EASTON DRILL HALL. BACK ROW L: TO R:- CECIL PEARCE, BEN LANDERS, CARTER, SCRUBS ANDREWS, ?, ?, ?, ?, ?, FLEW, ? ,? , LEN ATTWOOLL, ?, ? , RAY (BIFFER) MATTHEWS, ?, ?, ?, DICKIE WHITE, ARTHUR PAVEY (CYCLE SHOP OWNER FORTUNESWELL), ?, ?,HUGHES, COLLINS, SAUNDERS (BUTCHER SHOP OWNER WAKEHAM), CONNOR, CHARLIE CAWLEY,? , MITCHELL, BERT HICKS, CADDY, ?, COPPERTHWAITE, ?, ?, CYRIL SATHERLEY. SEATED L: TO R:- SENIOR, RICHARDS, PEARCE, CRAVEN (GARAGE VICTORIA SQUARE), BARNES, RIX, HOLT, LEN MARSH, BERT BLYTHE, ?, CYRIL STONE. FRONT ROW L: TO R:- ?, DEWLAND, STEWKSBURY, WILLS, ?, HARRY HOOPER (NEWSAGENT FORTUNESWELL).